WAUKEGAN, Illinois - Lake County Clerk Robin M. O’Connor announced that candidates wishing to appear on the April 2019 ballot file their nomination papers from December 10 to 17, 2018. 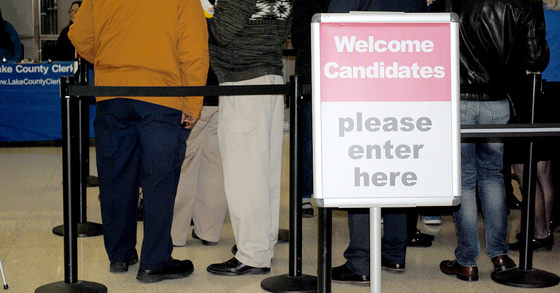 Most candidates file with the local unit of government where they are seeking office. However, those candidates seeking office as Lake County Regional Board of School trustee or school board member must file with the Lake County Clerk, per state election law. Offices appearing on next year’s ballot include: municipal offices; library trustees; park district commissioners; school board members; community college and regional board of school trustees; waterway management agencies directors; and fire protection district trustees. For questions on petition packets or candidate filings, visit LakeCandidatePower.info or contact the Elections Department at 847.377.2314.